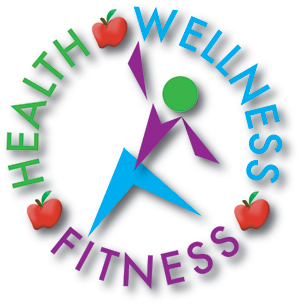 Wellness Incentives Work at Chandler Unified School District! The Chandler Unified School District (CUSD) has a long history of commitment to the health and wellness of their employees, their families and their students. First, forming their own health care trust and later combining with the Valley Schools Employee Benefits Trust (VSEBT), CUSD continues to offer cutting edge healthcare coverage, health fairs, and wellness incentives. These efforts have really paid off. More than 800 employees participated in the Wellness Incentive program and were awarded $200. In addition to completing a health risk assessment and one wellness activity, participants had to complete their normal wellness exam. Yes, we all know annual exams are important plus normal wellness exams and cancer screenings are covered at 100%. Even armed with this knowledge, sometimes an incentive is just what is needed to prompt us to prioritize our own health and wellbeing. Because of the incentive, three of our employees did just that. They decided to put their own needs first and scheduled their wellness exams. As a result, their lives have been changed. Let me tell you their stories. This year alone, many CUSD employees have told the staff that they have found early detection of serious conditions which literally saved their lives. This also helps the bottom line for the district and their staff when it comes to medical expenses and premiums. It is much cheaper to treat or cure disease at early stages. The financial incentives are win medically, financially, and for the friends and families of those they save. Good work Chandler Unified School District! Tagged: chandler, Chandler Unified School District (CUSD), health risk incentives, health success, valley schools, Valley Schools Employee Benefits Trust (VSEBT), VSEBT, wellness incentives, Wellness Incentives Work at Chandler Unified School District!